How to heck do I eat this thing? For years now I’ve been seeing dragon fruit show up in local groceries. I usually love unique produce, but for some reason I could never get the courage up to buy and try one. I think it was because I had no idea how to eat it, and to be honest, it doesn’t really look very appetizing. But this year, I has several friends that tried it and though it was received with a luke warm reception, I figured what the heck. I had to go to several places to find one and the one I bought was a little on the wilted side, but it was the best I could find. 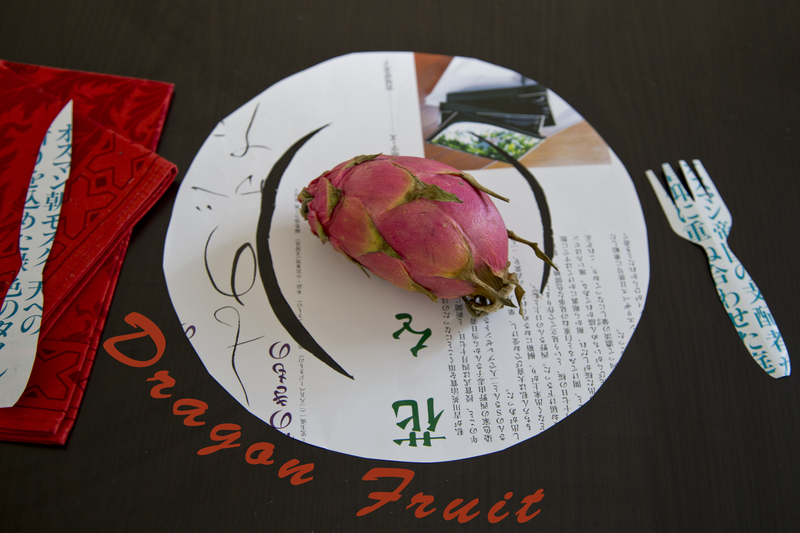 I research the origins of dragon fruit. It’s somehow even weirder on the inside. 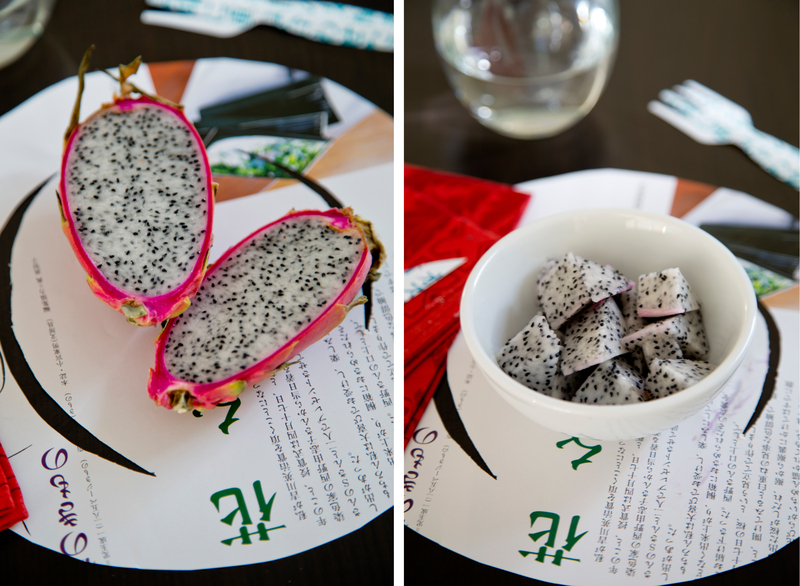 Dragon fruit, also known as pitaya or pitahaya is the fruit of different cactus species. 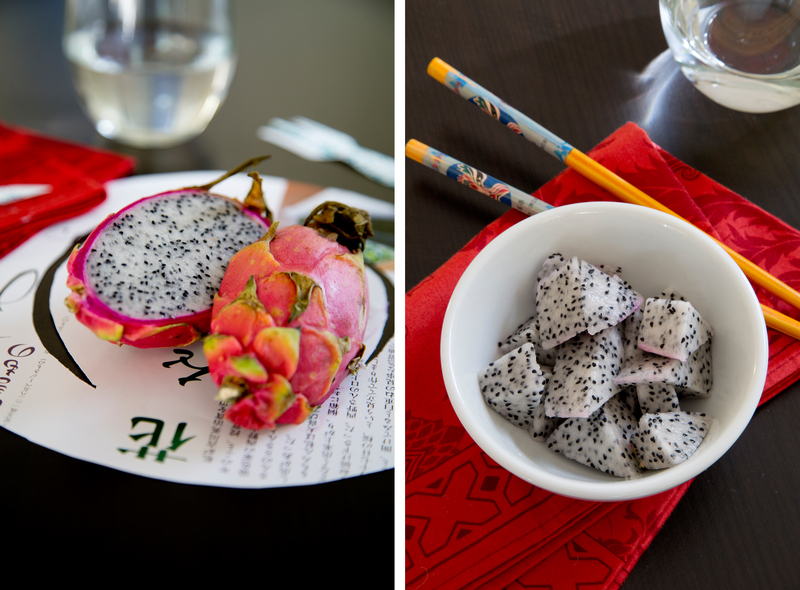 Interestingly different species of dragon fruit are grown throughout the world, with the first dragon fruit found in Mexico, then cultivated in South American and later transplanted to Asia, where dragon fruit is quite popular. It’s cultivated in Cambodia, China, Bangladesh, Cyprus, Taiwan, Australia, and Indonesia to name a few places. I also searched how to eat it and found many interesting recipes. I went the easy (lazy) route and just cubed the fruit into a bowl to try it. For its exotic appearance I was a bit disappointed. Someone had told me it tasted like a wet cucumber, which I found pretty accurate. It’s like finally seeing a movie after everyone else has seen it and raved about it and you are full of anticipation but the movie can never meet the expectations after so much build up. 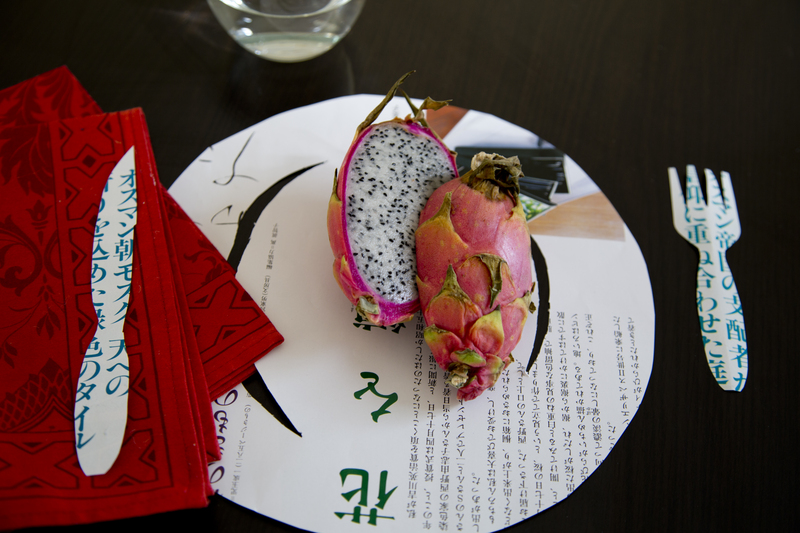 That was the dragon fruit for me. Categories: Travel | Tags: buah naga, dragon fruit, exotic food, Food Review, huo long duo, kiwi, south american fruit, weird fruit | Permalink. I was maybe not lucky….but honestly, the ones I tried….were…..tasteless….and can cause transit issues….have you tried corossol or soursop fruit? Another exotic fruit…Delicious…almost a candy taste….but wooooow….your photos are beautiful…Like always!!! Thank-you! Yes, I think I was unlucky as well in getting a good dragon fruit. I had people tell me that they got fresh ones and they tasted very sweet, like a kiwi. This was not the case for me at all. 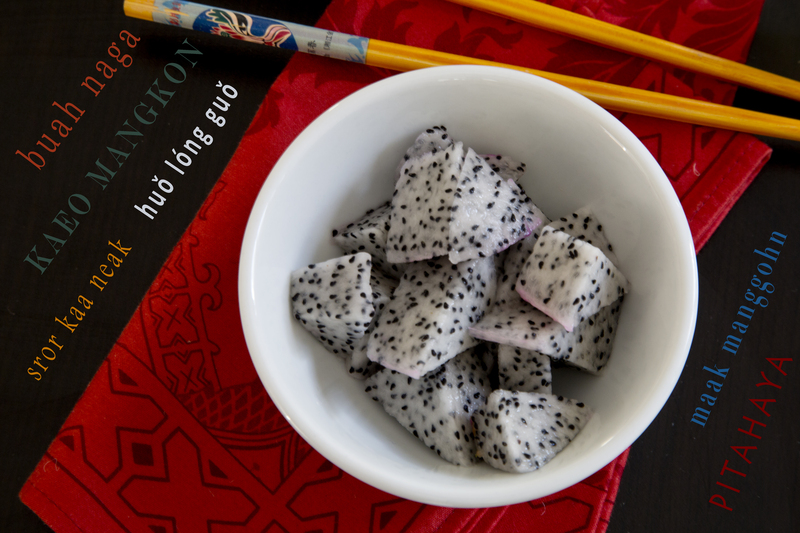 I nevr tasted dragon fruit before! I will be on the look-out for it! Yes, Look for it. Just try to find fresh dragon fruit, mine wasn’t very fresh so it was kind of tasteless.